Think of it with this narrative: the winner of the war, the side who started the war for all intents and purposes to simply bring low a competing organization, is now promoting a book to glorify their victory at the same time they can whitewash any unpleasantness or missteps under the guise of "fictionalizing" the story so it makes a good read. On top of all that, continuing the "Grrr Goons" narrative, the target goal of $150K seems like a blatant money grab, overcharging in the kick starter to make EVE players foot the bill of producing what feels like a victory-lap propaganda piece. From that perspective, again one I do not share, it is not surprising to see the kickstarter struggling. I want to reiterate that I would like to see this initiative succeed even if the end result is not my cup of tea. I also honestly believe that this is not a money grab by the Mitanni or any of the related individuals at TheMitanni.com. Because you know what? That hurts us all. And you know what else? 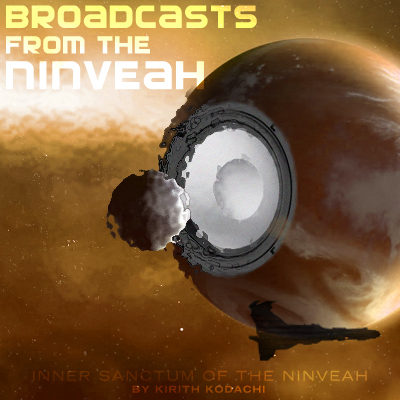 Mittani will still be here, with the thousands of swarm brethren and the black ships of the Imperial Armada at his back. 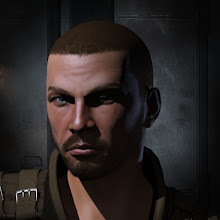 Your impotent /r/eve badposts won't save you from the wrath of our guns any more this time around than it did any of the others. You can't disparage the community at large for reacting poorly to a Goons led initiative when you have spent a decade or more building an Us Versus Them narrative in the meta-sphere. Take a look at that paragraph I quoted The attitude in that paragraph is so tone deaf yet no instinct in the writer's body said that in a post trying to take the high road and chastise people for being reflexive jerks it was sorely out of place. Goons have spent ten years looking down their noses at everyone Not-Goon or not allied so much that they do not know how to engage the community at large as equals. They have spent so much time in their Goon-persona laughing at "fails", "pubbies", and "scrublords" that when its time to take the mask off to treat everyone like human beings they act surprised when the other side can't forgive and forget as easily. Look at that paragraph I quoted again. In a post trying to change the attitude of the other side it seems very out of place, yet very typically goon, to remind everyone "we're bigger and better than you and there is nothing you can do about it". Its sad really. I suspect what happened when all is said and done and an honest retrospective can be had, the leaders behind this will realize that they were caught up in their own echo chamber telling themselves how much everyone liked them and how they were capable of anything, and its understandable when you consider all of the successes that goons have enjoyed over the years that one could get caught up in the hubris of it all. But a stark reality check was required that was missed. Someone outside the circle to say "this can't be a goon led thing because people HATE goons and don't trust them... this is not a surprise because you BUILT that reputation on purpose and reveled in it for years". Moreover, let's not pretend that any of this controversy is anything other than it is. It's not "Mittani is making money!" It isn't just CCP that monetizes players, this is something you see fairly frequently across EVE. Rixx Javixx had a gofundme so that he could produce artwork that he's partnered with CCP on and for which he presumably gets a cut. Sort Dragon's gofundme for a new computer so he could keep leading fleets and delivering content had a similar result. Avalloc sells people Bees and Test paraphernalia. Markee Dragon, Mad Ani (who now streams Star Citizen), any website with ads (including CZ, EN24, and this one), server drives, selling IT help, FC's getting accounts paid, workers for alliance interests getting PLEX, and more. The commonality here is that is that someone somewhere is making money. Where is the outrage over these self-interested charlatans? Rixx was understandably upset about it being implied that he is part of a group of "self-interested charlatans". I think that Sion's writing needed quotes around those last three words to highlight that he was being sarcastic or something, but regardless, this is indicative of how the whole post comes across as a temper tantrum. You'd think someone in Goonswarm would understand that any time you put yourself out there in the public interwebs to expect the slings and barbs of trolls and haters. To rail against it all is really a "Leave Brittany Alone" moment here and a part of me drinks up the delicious goon tears even though I'm sad that the kickstarter itself is failing. In the end, Sion Kumitomo is right in that the failure is a loss for the community. Hopefully instead of blaming everyone else he and others involved can take a good hard look at themselves first. [Interviewer] 6.) Many community members have said that the strong 0.0 message of the elected CSM members, including yourself, is bad for the future of EVE. How do you respond to such accusations? [The Mitanni] :Two things. 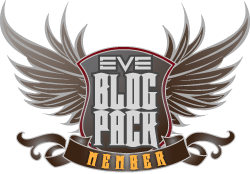 First, the ‘community’ in the context of sites like Eve Report means ‘the eve blog community and #tweetfleet’, which is a niche of the game’s population with an unfortunate tendency to assume that their echo chamber actually represents /everyone/, rather than people who blog about a space game – and eve bloggers don’t seem to have much to do with nullsec. That post pushed me much further towards viewing the continued existence of the CFC as the biggest threat to CCP's revenue stream and the continued health of Eve. I think all of this is demonstrating the turn of the screw...the value of the Imperium to the gameworld may now be eclipsed by the damage it is doing to the game. Wow, you agreeing with me.....goons are the worst thing for Eve, because they proudly weaponize boredom. And that is without the RMT issues. Vince, Dimmy...whoever you are... no one is disagreeing with you that Gewns at al are GOOD for EVE... we are all just extremely tired of your extreme tinfoil hattery and all the RMT BS... AND that you have even worse manners than Mittens. I post a bit of commentary on the subject in a blog post.